Since we had some of the Apple Bacon Slaw left over, we finished baking some panini rolls and stuffed them with sliced turkey breast and the remaining Apple Bacon Slaw. The salad was $1.49 per serve. 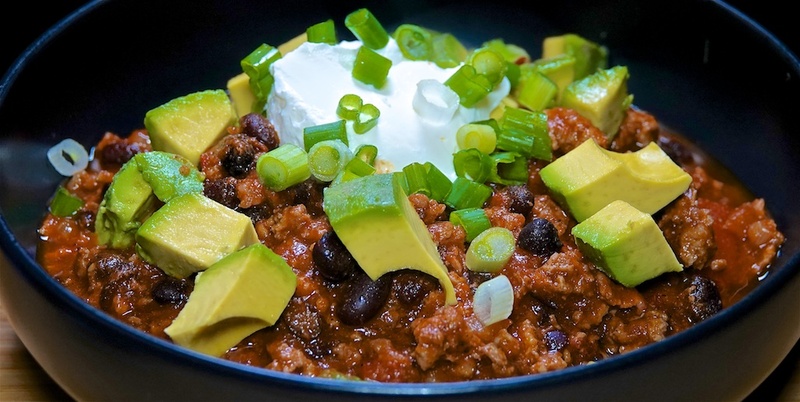 Since the weather was taking a cold turn, our attention turned to our favorite chili: Bacon and Black bean! We will get four serves from this batch. The cheddar is $3.99 a block and we used 1/2 or $1.25 per serve. Definitely a warming and filling chili for $4.99 per serve.